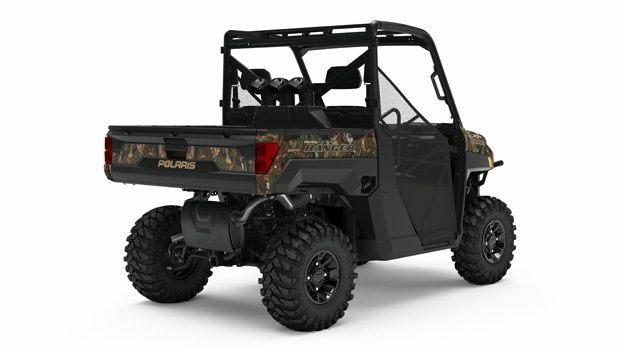 Minneapolis (Feb. 28, 2019) – Polaris® RANGER®, the industry’s No.1-selling utility side-by-side vehicle, today introduced new limited-edition models and additional upgrade options to further expand its industry-best RANGER XP® 1000 lineup. 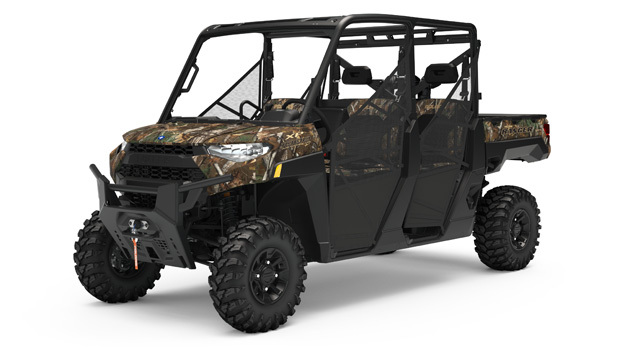 The introduction features the RANGER XP® 1000 EPS Back Country Edition available in 3 and 6-seat models. RANGER also announced availability of its factory-installed Ride Command® Package on the RANGER CREW XP 1000 EPS and the popular RANGER CREW XP 1000 EPS NorthStar Edition, which adds two exterior color options for the mid-year release. For the past two decades, Polaris RANGER has been the trusted partner in helping hunters reach remote locations, haul gear and transport their trophy back to camp. The new RANGER XP 1000 EPS Back Country Edition, available in 3 and 6-seat models, is purpose-built for hunters operating in extreme riding conditions – from rocky mountain trails to the marsh. Available in exclusive Polaris Pursuit® Camo, these limited-edition models are factory-equipped with features hunters need and demand. To power through the elements, the 82 horsepower ProStar® 1000 engine is paired with a reduced gear ratio transmission that includes a geared reverse for increased durability and strength for the toughest environments. The class-leading 13-inches of ground clearance is maximized with arched A-arms to devour unforgiving terrain, while high-mount air intakes ensure clean air reaches the engine and clutches when navigating water crossings or wet terrain. A Polaris Pro 4,500 LB HD winch mounted to the industry’s largest stock front bumper provides big pulling power and the confidence to be ready for anything. 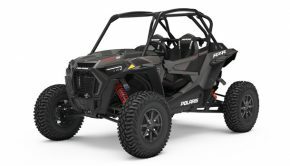 For an upgraded, premium riding experience, Polaris now offers its innovative Ride Command technology as a factory-installed package on RANGER CREW XP 1000 EPS and RANGER CREW XP 1000 EPS NorthStar Edition. For an upgraded, premium riding experience, Polaris now offers its innovative Ride Command technology as a factory-installed package on RANGER CREW XP 1000 EPS and RANGER CREW XP 1000 EPS NorthStar Edition. 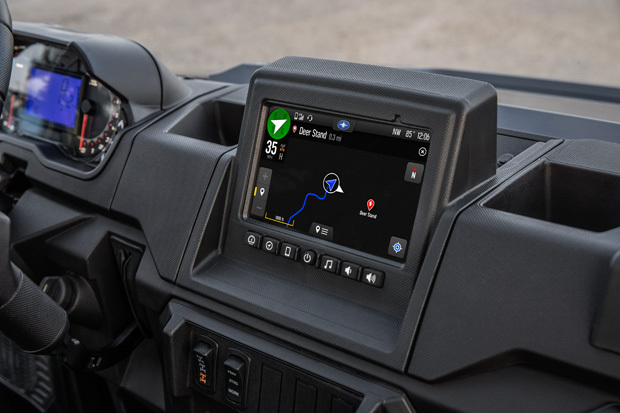 Riders can stay connected with an integrated 7-inch, glove-touch display featuring built-in GPS navigation, vehicle diagnostic information, an AM/FM radio tuner and Bluetooth® smartphone connectivity. Audio is transmitted through included in-dash speakers, while front and rear-mounted cameras provide added visibility when backing up or navigating tight spaces. The RANGER CREW XP 1000 EPS NorthStar Edition also adds two exterior color options for the mid-year release. This popular model is now available in Sunset Red Metallic, Pearl White and Polaris Pursuit Camo, providing more options for riders that demand the industry’s best in-cab experience. A premium RANGER Pro Shield™ cab system keeps the elements out, and factory-installed heat and air conditioning with front and rear ventilation keep riders comfortable no matter the conditions. 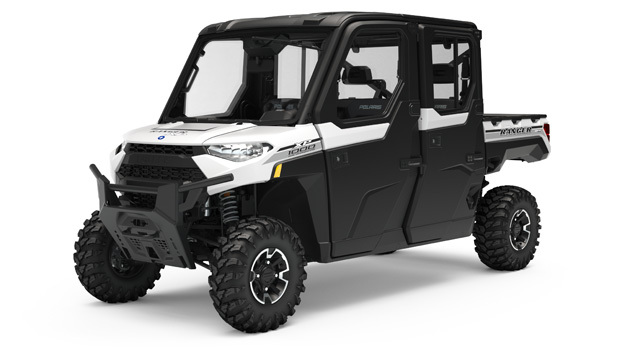 The RANGER CREW XP 1000 EPS NorthStar Edition also adds two exterior color options for the mid-year release. You can find more information about RANGER and the recently launched 2019 models at ranger.polaris.com. Also visit us and join the conversation on Facebook, Instagram and Twitter.